PEANUT butter, cranberries, orange juice, bourbon, Levi jeans and Harley Davidson motorbikes are among US products that could subject to retaliatory tariffs from the European Union (EU) if President's Trump's tariffs on steel and aluminium go ahead. That's according to EU trade commissioner Cecilia Malmstrom who said the organisation is developing a list of agricultural and industrial products to be published "very soon" raising fears of a full-blown trade war. While Commissioner Malmstrom was quick to point out no action had been taken yet, she said the 28-member organisation is working on three potential courses of action amid the threat that "risks a serious blow to our European economy and workers". "If a move like this is taken, it will hurt the EU. It will put thousands of EU jobs in jeopardy and has to be met by a firm and proportionate response," she said, adding that body plans to take the potential dispute to the World Trade Organisation for arbitration. However mindful that legal recourse will take time, Ms Malmstrom said a provisional list including steel, peanut butter, cranberries, orange juice and bourbon whiskey is being drawn up among EU members. "We are calculating the blow and we will take these rebalancing measures," she said. "We can have it ready, we can notify but we can also choose to wait a bit to see how things develop ... We have looked at products with alternative supply so it wouldn't hit EU consumers." "A trade war has no winners," she said. 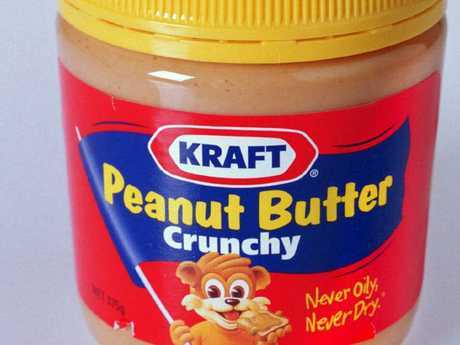 The EU could slap a tariff on US peanut butter if the steel proposal goes into place. It comes as President Trump has threatened to introduce blanket tariffs of 25 per cent on steel and 10 per cent on aluminium imports despite dire warnings of economic fallout that saw his economic adviser Gary Cohn announce he would leave the White House. Mr Trump has long-campaigned that the US was getting a "bad deal" on trade and needs to start "winning" again as part of his America First mentality. Fellow Republicans including Paul Ryan have argued for a more "surgical" approach. It's unclear whether the tariffs will go into effect or whether Trump is using them as a harsh bottom line to negotiate better deals under the North American Free Trade Agreement (NAFTA) and with other nations. 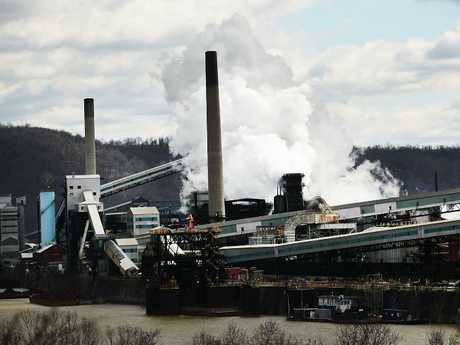 On Tuesday he reaffirmed his commitment at the White House, saying: "We're doing tariffs on steel. We cannot lose our steel industry. It's a fraction of what it once was. And we can't lose our aluminium industry." 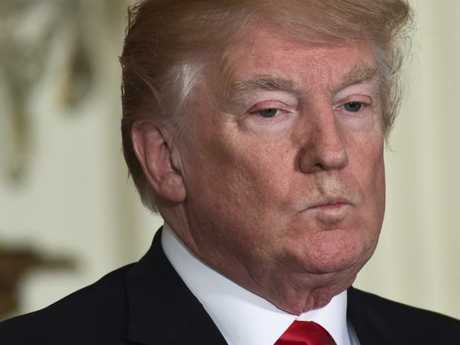 He also tweeted about the "big trade imbalance" with the EU, saying: "If the EU wants to further increase their already massive tariffs and barriers on U.S. companies doing business there, we will simply apply a Tax on their Cars which freely pour into the U.S. They make it impossible for our cars (and more) to sell there. Big trade imbalance!" It’s unclear whether Trump is serious about his proposal or is using it to negotiate, however he has campaigned on a platform of fighting for better trade deals. Picture: Spencer Platt/Getty Images/AFP. Commissioner Malmstrom said the EU had been in contact with other partners to approach the WTO but did not confirm if that included Australia. Earlier this week, Treasurer Scott Morrison said Prime Minister Malcolm Turnbull could be "best-placed" to navigate the proposal. "Australians can see the prime minister has a keen handle on what is occurring in the United States and is probably better placed than anyone I think to best read the situation," he said. "He has worked hard on that relationship. Reserve Bank governor Philip Lowe said it was "highly regrettable" and bad policy. "If it is confined to the tariffs on steel and aluminium it is manageable for the world economy," Dr Lowe said. "(But) if we see retaliation and counter-retaliation, this could turn into a very big shock to the global economy." However UNSW Business School's Tim Harcourt said Australia could benefit in the long run. "If Trump makes the US an erratic and chaotic trade partner, Australia will be seen by China, South Korea, India and ASEAN as safe, reliable and on side in the Asia Pacific, particularly given the withdrawal of the USA by the Trump administration of the Trans Pacific Partnership (TPP). "And given that the US is mainly a source of foreign investment, it is trade that matters for us in North East Asia and that's where Australia must maintain its solid reputation as a reliable supplier and customer," he said. President Donald Trump said the US is not winning on trade. Picture: AP Photo/Susan Walsh.